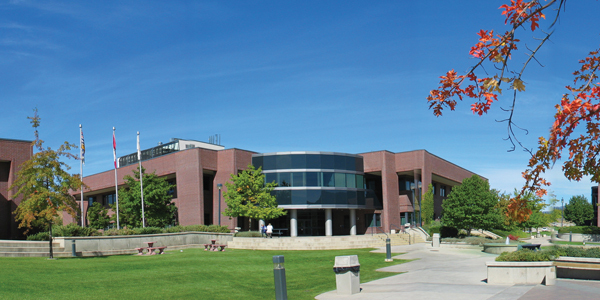 A joint federal-provincial and university investment was announced on December 5, 2016 at UBC’s Okanagan campus to establish a new Teaching and Learning Centre and fund various sustainability and infrastructure upgrades. Graduate and upper-level undergraduate students looking to share the fruits of their scholarship have received a big boost from the Centre for Scholarly Communication (CSC) at UBC’s Okanagan campus. The CSC, which opened last July and is housed in the Library, reports to Melody Burton, Chief Librarian, and Dr. Peter Arthur, Director of the Centre for Teaching and Learning at the Okanagan campus. The centre offers one-on-one consultations on written and oral communication, special events and more. Librarians’ contributions include delivering well-received workshops on topics such as copyright, research tools such as RefWorks and Mendeley, and managing information with technology. As a result, students learn strategies to manage time and resources, improve writing and editing skills, and discover how to present material to different audiences and for different purposes. “Supporting junior researchers and scholars in the communication of new knowledge has the potential to impact not just the student, but also his or her academic community and the wider community,” says Carolyn Labun, Director of the Centre For Scholarly Communications. More: Hear other insights on academic communication from UBC authors at our Okanagan campus. Read more from UBC Library’s Community Report (2013). It was time for a celebration on UBC’s Okanagan campus recently, as staff hosted an open house marking the 20th anniversary of the Library building. 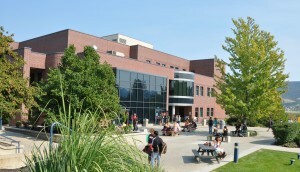 That facility, along with Arts, Sciences and Administration, were opened in 1993 as part of Okanagan University College (the transition to UBC’s Okanagan campus occurred about seven years ago). Staff still remember the moving day, when crews plowed through three feet of snow to bring saran-wrapped book carts into the building. UBCO.TV was on site for the celebration last week, and captured staff recollections about the move and how it provided opportunities to provide new services. Congratulations, Okanagan Library and campus! You can view the video below. The donation of six screenprints to UBC’s Okanagan campus is featured in the Kelowna Capital News. The prints – donated by Briar Craig, an Associate Professor of Visual Arts – are on display in the Field Reading Room, which is based in UBC’s Okanagan Library.